As you may be aware, a badger cull has been in place in England since 2013 and was recently extended to another 10 new areas. Although South Yorkshire isn't yet a licensed cull zone - we're a Low Risk Area due to very few cases of TB in cattle here - the Government announced in May this year that they would authorise culling in Low Risk Areas, including Sheffield, in cases where TB in cattle is linked with badgers. This means we are now at risk of the badger cull coming to Sheffield. The Wildlife Trusts oppose the badger cull and will not allow it to take place on our land. We agree with the strong scientific evidence that culling badgers will make no meaningful contribution to the management of bovine TB and may even be counterproductive to its reduction. As well as the fact that culled badgers are not being tested for TB, badgers have also been shown to disperse from sites where culling is carried out, which risks any infected badgers moving away from the cull zone and into new sites, potentially spreading infection to new areas. This is called the 'peturbation effect'. We are very conscious of the hardship that bovine TB causes the farming community, with an increasing number of cattle contracting this awful disease each year. We understand the need for action and have concluded, from our knowledge of previous scientific cull trials, that in the short-term a nationally coordinated and sustained programme of badger vaccination, improved biosecurity measures and improved testing and control of cattle movement would be the best means of tackling the disease. Sheffield & Rotherham Wildlife Trust have now launched an appeal to raise funds for badger vaccination in our area. We'll need to raise £50,000 to enable us to roll out a vaccination programme, so we're asking for your support to help us protect badgers in Sheffield. Should any unforeseen difficulties prevent us from carrying out vaccination, we will instead work with farmers and landowners to improve biosecurity measures preventing cattle from coming into contact with badgers and other cattle herds, as well as land management work to improve badger habitats. If you'd like to support our appeal, please visit our website and make a donation: https://www.wildsheffield.com/badgers/ We're also keen to hear from any local farms and other landowners with badgers who'd be interested in working with us. Please contact us at mail@wildsheffield.com. Thank you. Jive Juice New Year's Knees up! Saturday 31 December, 9pm - 2am The Greystones, Greystones Road, S11 7BS, Sheffield https://www.facebook.com/events/1282480438477893/ DJs: Ed Horwood (Melting Pot, Scarborough), Powlo & Ian Cracknell YES! 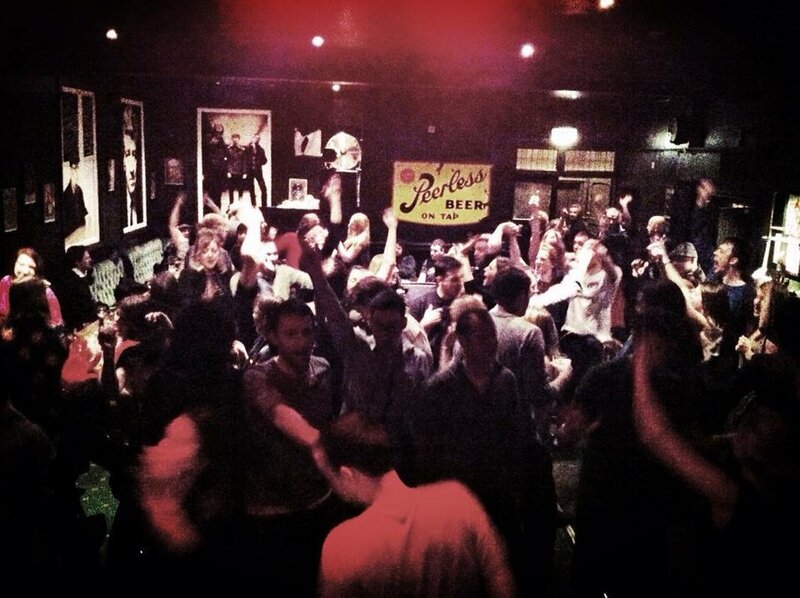 We're back for our annual New Year's Knees Up at The Greystones, with five hours of fabulous 1950s & 60s rockin' r&b, jump blues, soul, popcorn, rock & roll, ska, boss reggae, jazz, exotica and more, with special guest DJ Ed Horwood (Melting Pot, Scarborough). It's a brilliant venue, with plenty of room to wig out on the dancefloor and one of the best selections of beer in Sheffield - and that's saying something. It's also completely free. That's right - no ticket, no messing about paying on the door - just walk right in, grab your drink and twist it up into 2017. Ding dong! JIVE JUICE 4th Birthday @ Riverside Sat 1 Oct - guest DJ PETE McKEE!